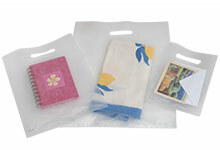 Deluxe soft merchandise bags are strong and tear resistant plastic. 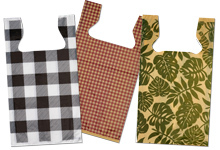 Soft loop recycled plastic studio bags are affordable & ecofriendly. 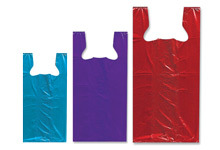 Recycled solid color T sacks plastic bags are available in 3 sizes! 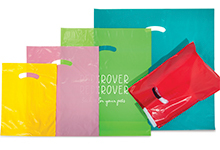 Frosted plastic merchandise bags are high quality translucent bags with diecut handles. 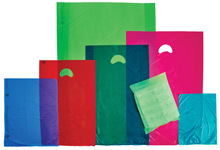 High density plastic retail bags at wholesale prices! Economy T Shirt plastic bags in white, clear & Thank You styles. Jumbo plastic Christmas bags in solid red and holiday polka dots. Nashville Wraps is your source for retail packaging. 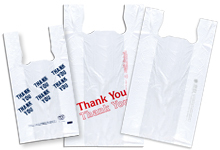 Browse hundreds of Plastic Bags from Plastic Merchandise Bags, T-Shirt Bags, Thank You Grocery Sacks or Frosted Bags. You will find every size from small to large. 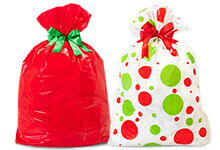 See every style including clear, colors, recycled and jumbo gifts sacks all available in bulk at cheap wholesale prices. 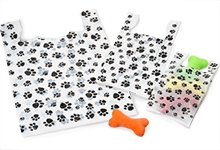 So whether you are needing plastic bags for food packaging like cookies, candy or popcorn to recloseable bags for jewelry, door hangers, mailing or shipping, Nashville Wraps has the best quality USA made bags online. 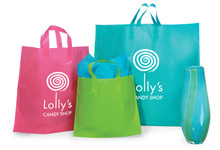 We can custom print your plastic bags with your store logo. 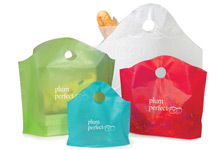 Let us design custom plastic bags for food service or your retail business!